About Us - STARLIGHT RESTORATIONS LLC. 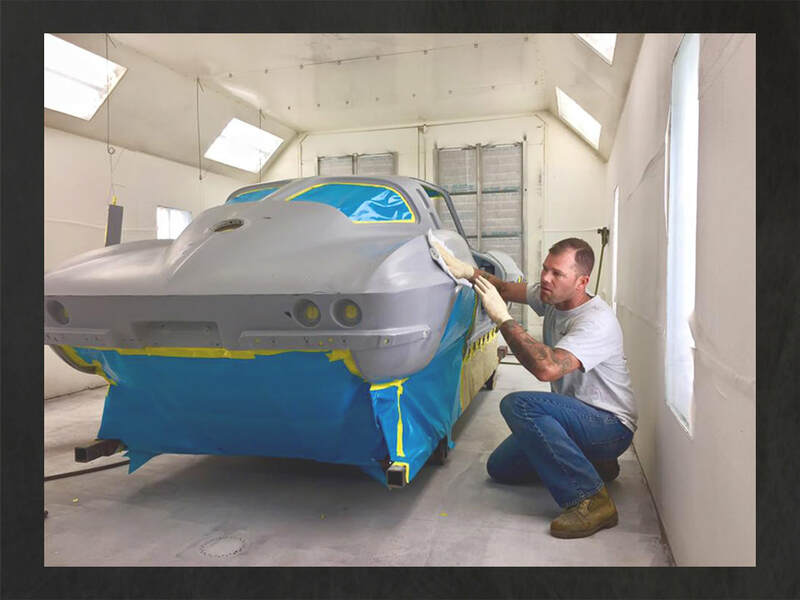 Doug prepping a 1963 Corvette Z06 for paint. At Starlight Restorations we strive to give our clients the car of their dreams and exceed their expectations. We are a versatile restoration center that produces everything from factory correct Corvettes to timeless custom muscle cars and hot rods. All available with a Concours de Elegance level of quality if you so choose. The impressive attention to detail that Starlight is renowned for, resonates throughout these functional pieces of artwork. Many of our award winning restoration show cars have been published in various magazines, while others are built to be driven as hard as you wish! Our mindset is to improve these cars in every area possible, especially from a functionality aspect, everything must function properly with an elevated level of precision. We strive to bring these classics up to speed with their modern counterparts wherever applicable to keep you feeling comfortable while cruising the streets. At Starlight Restorations we say enjoy the ride!